Dellenbaugh, Frederick S. , “Romance of the Colorado River: The Story of Its Discovery in 1540, with an Account of the Later Explorations,” Arizona 100: Essential Books for the Centennial, accessed April 21, 2019, http://speccoll.library.arizona.edu/online-exhibits-dynamic/az100/items/show/176. Thirty years after he rowed through the Grand Canyon with John Wesley Powell, geologist Dellenbaugh (1853-1935) dipped his pen in ink to narrate the history of other explorers who pulled an oar on its raging rapids or tried to wade its treacherous shallows. 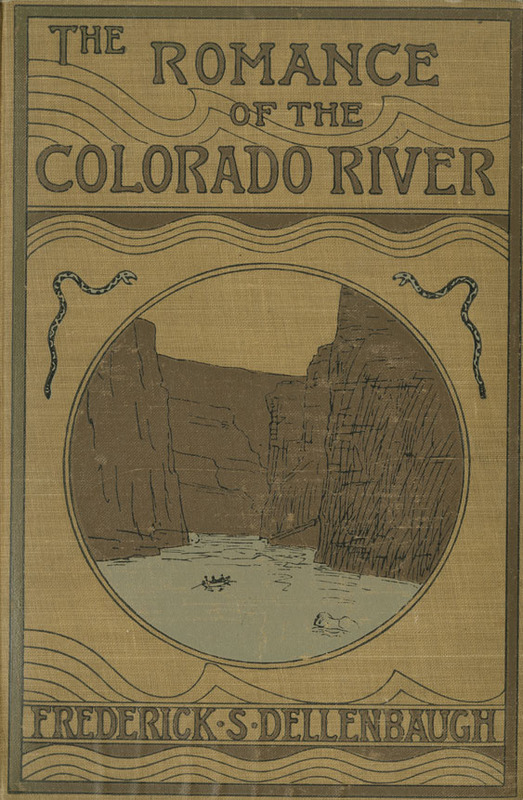 He compellingly tells the stories of Cardenas discovering the Grand Canyon; Hernán Alarcón, Francisco de Ulloa, George Derby, and R. W. H. Hardy navigating the river’s delta; Joseph Christmas Ives steaming upriver; and early canyon-runners Powell, Robert Brewster Stanton, and Nathaniel Galloway. New York : G. P. Putnam's Sons, 1902.
xxxv, 399 p. illus. 24 cm.